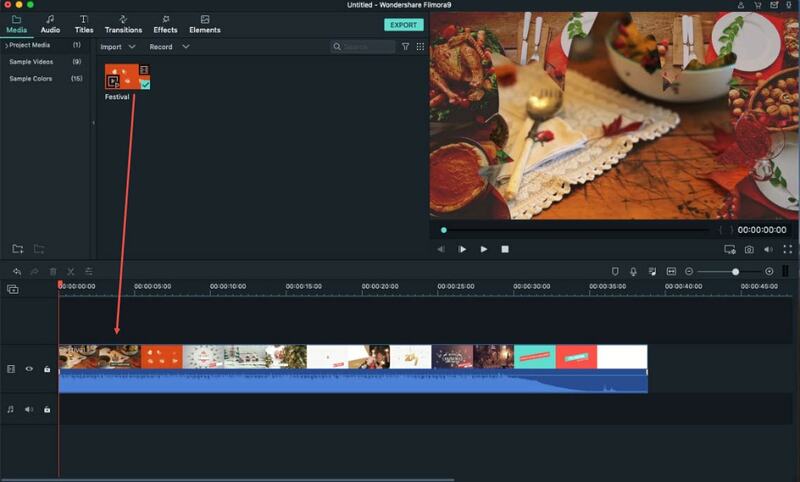 There will undoubtedly be times when you need to crop the black bars to make your video look better or crop your video to eliminate unnecessary areas and draw your viewers’ attention to the most important elements. 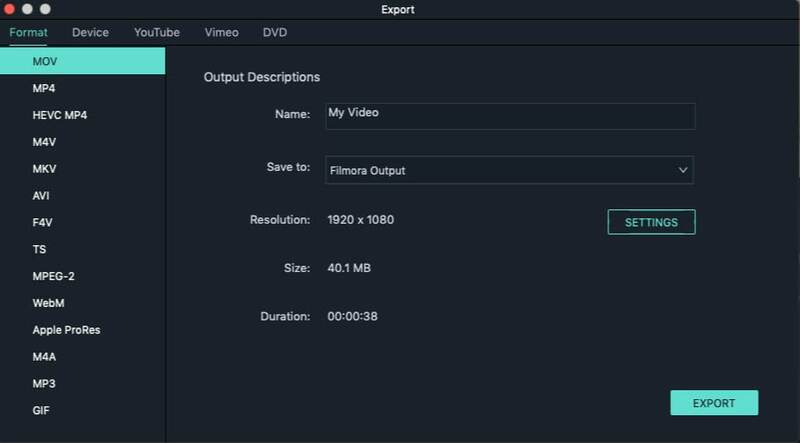 Wondershare Filmora9 for Mac (Latest version 9) can help you easily achieve that. This video cropper for Mac (Mojave included) allows you to change the dimension of a video file in various formats like MP4, FLV, AVI, VOB, 3GP, ASF, MOV, F4V and more. Now you can follow these simple instructions below to learn how to crop video clips quickly and easily. Click here to find way to crop videos on Windows. Run this program and go to "File" > "Add Files" to select the video file you want to crop in the window that opens. You can also use the media browser to import files from your iTunes library, or iMovie or directly drag and drop the target files to the program. This mac video cropper supports various video format such as MP4, FLV, AVI, VOB,3GP, ASF, MOV, F4V, M4V, MPG, so you don't need to worry about the compatibility issue. Highlight the target video file; then click the "Crop" button in the tool bar and the editing window will pop up. If you want to automatically crop the video, select "16:9", "1:1", "9:16" or "4:3" option. If you want to manually crop it, stretch and move the rectangle in the Preview Window to define the desired frame area. If satisfied, click "Done"; if not, click "Reset" to reset the settings. Yes, it’s that simple! After cropping your video, click the "Play" button to preview the result. If satisfied, hit the "Export" button to save it. You can export your video in different formats such as MOV, M4V, MP4, M2TS, MTS, TP, DAT, WMV, etc. in the "Formats" tab or prepare it for transfer to a mobile device in the "Devices" tab. In the dialog window, select the desired video format or mobile device, specify the video settings if necessary, and click "Create". Moreover, you can burn it to DVD, or upload to YouTube and Facebook right away as you like. In fact, Wondershare Filmora9 for Mac is much more than a video cropper for Mac. 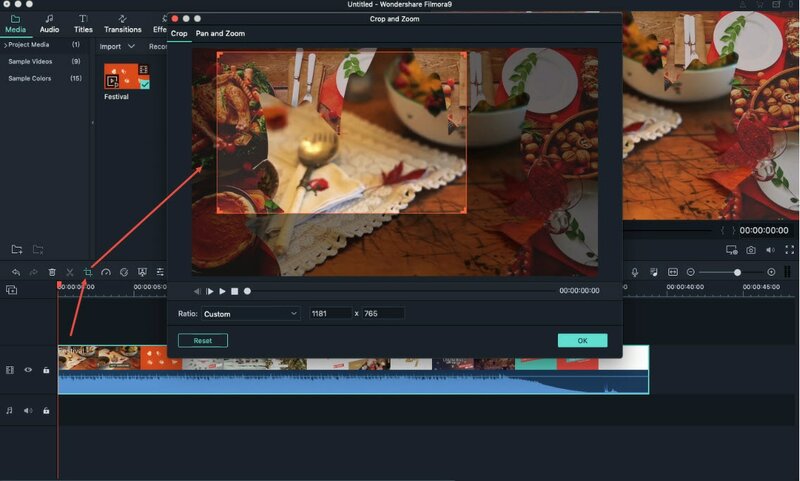 It is a multifunctional video editing tool: in addition to splitting, merging and cropping video files, it also enables you to add music, texts and titles, apply special effects, and much more.